Bitcoin continues its August 2018 decline for the third consecutive day. 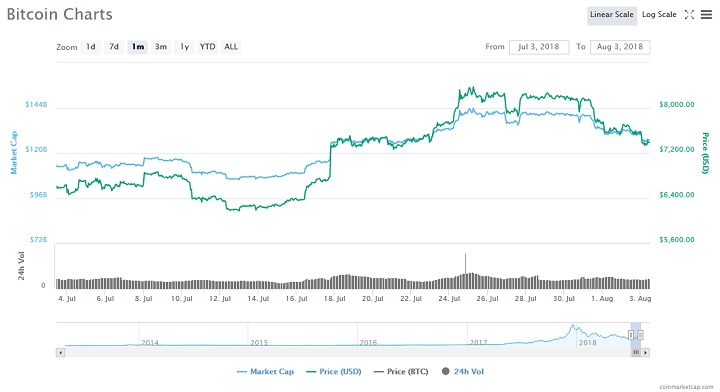 The top-ranked cryptocurrency has dipped by more than three percent in the last 24 hours. 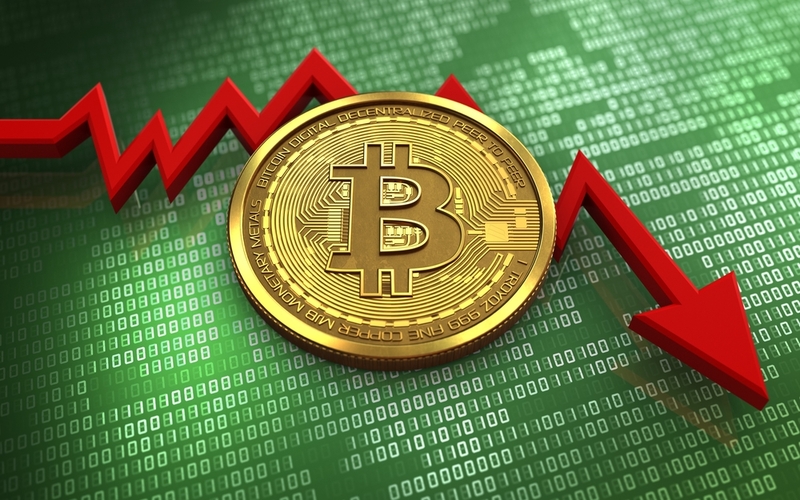 One expert believes that if BTC is unable to hold steady above the $7,400, then a drop below $6,000 is to be expected. According to Fundstrat’s chief technical strategist, Robert Sluymer, Bitcoin investors might be in for another significant price drop. BTC enjoyed a mostly positive run in July after enduring a testing few weeks in June when it set two consecutive 2018 lows. However, since the start of August, BTC has experienced a significant bear pull back falling below $8,000 and struggling to stay above the $7,500 mark. I think that Bitcoin’s at a very critical stage because if that uptrend’s going to continue, it needs to dig in right here. The Fundstrat analyst pointed to the BTC relative strength index (RSI) which shows that the cryptocurrency is currently oversold. Typically, such a situation provides a trigger for increased buying of the asset, but Sluymer urges caution. With the fragile state of investor confidence at the moment, huge selloffs might still be on the cards which will push the price even lower. The rejection of the Winklevoss ETF, as well as a raft of other developments in the blockchain space, seems to have overshadowed the bull rally of late July. I look here thinking this is where it’s got to stick, this is where you can put the long trade on. But it has to be done with very tight stops because if bitcoin cannot dig in here, then that short-term trend defined by the 15-day moving average begins to roll over and I think it’s vulnerable to a collapse into that $6,000 range. During the July rally, Bitmex chief, Arthur Hayes said that it was only a temporary squeeze and that the BTC price would still test $5,000 before any sustained bull rally could occur in 2018. Do you agree with Sluymer’s analysis? Will Bitcoin test $5,000 or will another rally take the price back above $8,000? Keep the conversation going in the comment section below.